Born in Nagoya, Sota Asano joined the local children’s Japanese taiko drum club at the age of 9 and studied the art form under taiko performer Sachio Umemura. After beginning his performance career as a member of the Japanese taiko group REN, he served as the leader of the Super Taiko Junior group produced by world famous taiko performer Hiroyuki Hayashida performing throughout the world including a tour of France. 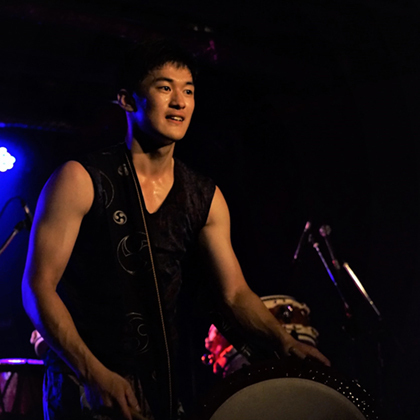 He achieved his professional debut in 2015 as a member of ZI-PANG, a group of the most elite taiko performers in Japan, performing at such events as the Mercedes Benz E-Class Release Ceremony. He formed Tengaku in 2017 with other top young taiko performers. 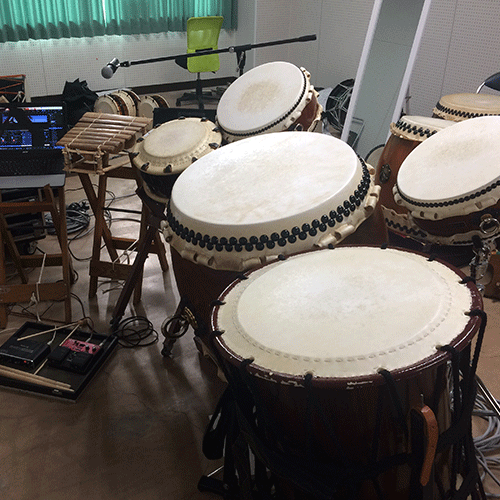 I Used a Loop Station with Japanese Taiko! Asano created a new performance style as the first in the world to use the RC30 Loop Station with Japanese taiko drums. Asano expresses the concept of reincarnation using increasingly layered melody and the intensifying beat. A studio session with electronic percussionist ASAKing. 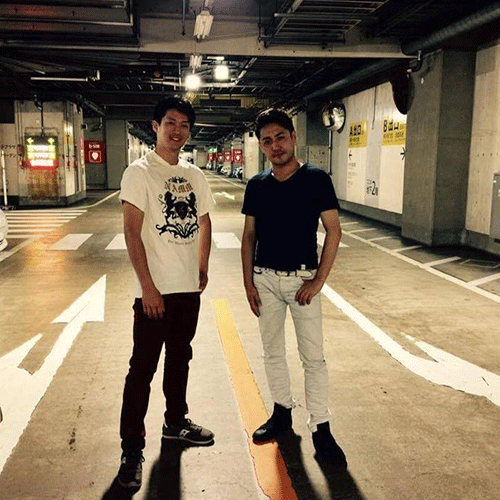 Aiming for a fusion of digital and analogue, they formed the new unit ASURA GROOVE.